Frustrated With Ongoing Energy And Fatigue Problems? “At Last! You Can Get Your Life On Track So You Can Feel Your Best Everyday And Be Happy! If you feel tired, wired, and totally exhausted right now, I know how you feel! A few years back I found myself completely depleted, unable to sleep, totally depressed, I’d gained 40 pounds, and I felt like I’d walked 20 miles through knee high mud before I even got started each day. I know it’s not a fun place to be. In fact, it’s simply horrible and you can get stuck in a cycle not knowing what to do about it. You Can Change It and Reclaim Your Energy! Believe me when I say you can change how you feel! I turned it all around through diet, supplements, and lifestyle changes and so can you. Using the skills I had and countless hours of research, I decided to stop burning the candle at both ends and I put myself as a priority and focused on bringing balance back into my life. 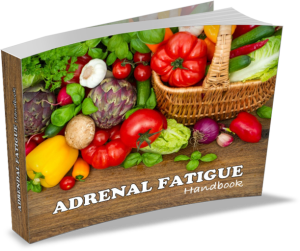 In my Adrenal Fatigue Handbook & Guides, I’d like to show you HOW you can do it too. Stop Asking Yourself “Will This Ever End, Will I Always Feel Like This” and DO Something About It! 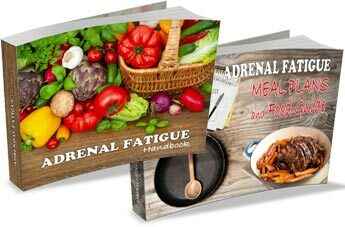 The Adrenal Fatigue Handbook & Guides contain all the information and steps you need to take to start feeling much better. Thanks for the guide and meal plans. It really has been a life saver in helping me get my diet on track and feel better. 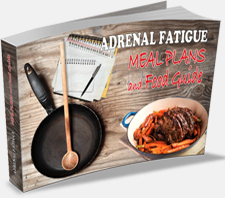 I’ve stumbled across your wonderful adrenal fatigue handbook & you are the only site that has a comprehensive meal plan! Thank you for your time & effort – and obvious care for those going through this! Fab info really enjoyed reading it, and am looking forward to starting the whole plan. Thanks. Just imagine how well the information inside these pages will work for you. Imagine how it will feel to finally have some energy and vitality! How a simple diet change can provide the best result – you’ll be amazed! Which of these 3 steps you need to focus on first. 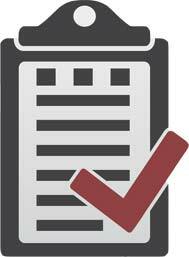 Find out by following the Step by Step Recovery Checklist! The 24-hour body clock reset method (Inside the Supplements Guide) – to really get you having a good nights sleep. All it takes to get started is for you to make a decision that you will change things. Think about this for a few minutes. What activities do you have to complete every day to function? Every day you have to eat, sleep, and do your thing but one way results in fatigue, while another way results in energy. You’ll Be Doing Similar Things But Generating Different Results. This is obviously an abbreviated simple list. But these are some general things you would do every day anyway. What I am trying to emphasize here is that it won’t be anymore work for you than what you’re currently doing right now. BUT you will get a completely different result! And You Can Get Personal Help To Do It! My name is Jedha Dening, I’m a qualifed nutritionist & health counselor with a Masters in Nutrition and a Degree in Counselling. I specialize in stress, inflammation, and anti-inflammatory diets and I’ve got over 10 years experience working in the field of health and wellness. During that time I’ve assisted many people with their health and more recently I’ve helped many clients, members, and customers discover a simplified way of eating that helps them reach their goals. I host a weekly nutrition and health podcast and I’ve got a solid following. I’m not sharing this to be boastful but to emphasize that I’m not a fly-by-night kind of person just here to make a quick buck. As I mentioned earlier, I also have my own experience in suffering and recovering from complete burn out. So I was sharing all of this is to point out that I’m not going anywhere and I genuinely want to see you regain some energy and vitality, which is why I am also offering personal help (more on that later). I teach things so people understand. That’s what I do. I take all the complex info, research from medical journals, websites, books, and I write it in a way that’s easy to understand. I also share step by step guidelines, examples, and insights to help you get the best out of it. 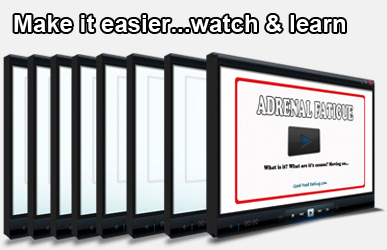 Of course, there are plenty of other people who do what I do for a living and teach diet and lifestyle methods for adrenal fatigue. I certainly don’t have the “exclusive” on anything and wouldn’t claim or pretend that I do. What I will tell you is this: I teach things so people understand. I take complex stuff and make it simple and practical. That’s what has helped other people and that’s where I believe I can really help YOU. 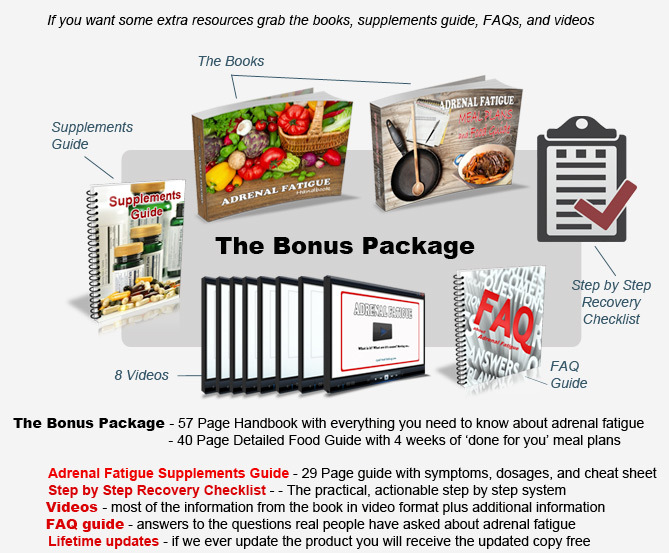 Recently I updated my Adrenal Fatigue Handbook and Guides to the 2nd Edition (March 2015), and I also included a whole range of new information and a step by step checklist for you to follow. I wanted to make the information more practical and actionable because it is very important to me that you get results. I’ll supply The Resources And Even Personal Coaching! I’m not going to give you a million bullet points to read through, make crazy promises, or hype this up too much just to make a sale. I want this to be right for you so you either see the value in this product or you dont. Take a look below at the package options you can choose. And then take a closer look at what’s inside the Handbook, Guides & Resources. You’ll see that there is a lot of value included to help you get your life on track. Choose from an option that suits you best. Instant Access: After payment you will be redirected to a registration page where you will gain access to the package you have purchased. This is a digital item. 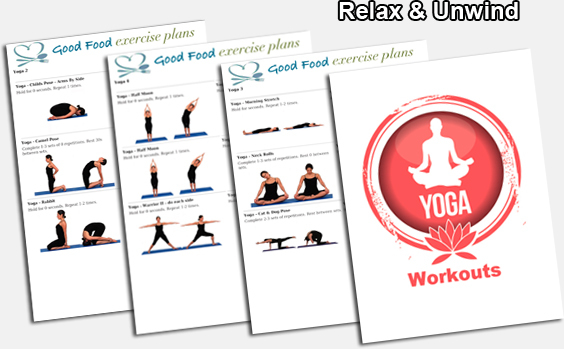 The books and guides are eBooks and eGuides all the content is delivered via a membership site area and via instant download. Take A Look At What’s Inside the Books & Guides? What does the Personal Help Include? I (Jedha) am a qualified Nutritionist & Health Counselor holding a Masters in Nutrition and a Degree in Counselling. I specialize in stress, inflammation, and anti-inflammatory diets. With over 1o years experience in the field of health and wellness and personal experience in dealing with burn out, I can provide you with the personal help you need to get on track. 5 personal email consultations – Get 5 of your most important personal questions answered directly via email – send a maximum of 5 questions within 30 days and have them personally answered. Send them all together or 1 at a time. Any questions sent outside of 30 days will not be answered personally. The key to your success is for you to put things into action and I am here to help support you to do it. This support alone is worth more than you”ll pay for the entire package! Learn all about it so you can focus on the important parts of recovery. SAVE TIME: Bonus preparation guide to do a weekend prep and save time during the week! Inside this guide you will find Detailed Information you can read through to get to know the benefits of different supplements. 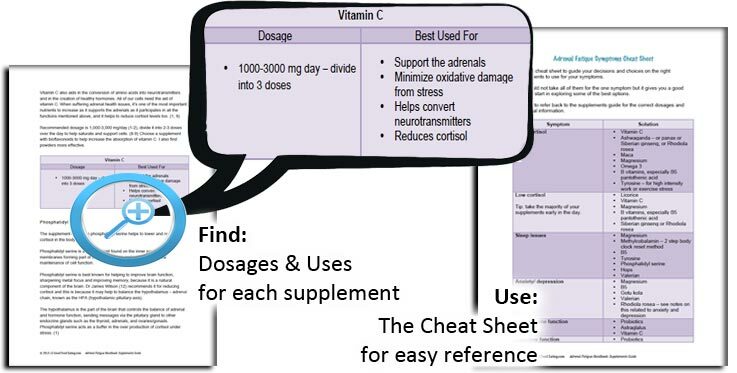 Refer to the ‘Cheat Sheet’ and save even more time and pin point your symptoms! The Checklist is included in the Bonus & Personal Packages ONLY and it is worth every penny if you need something to guide the way! This makes the Books & Guides practical and actionable, giving you things to focus on for best results. Over 6 hours of video! All the videos made into audios so you can listen at your time of convenience. Yoga is one of the best workouts for adrenal fatigue! Unwind and relax with 5 yoga workouts, including pictures to guide your own home stretching routine. 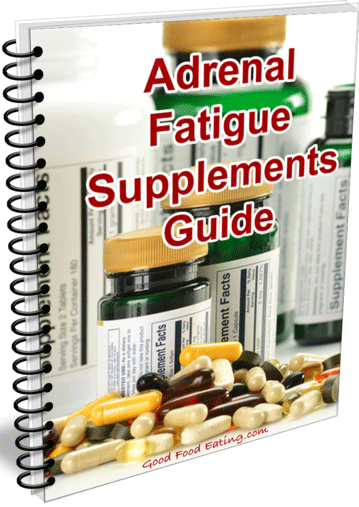 You can get the Adrenal Fatigue Handbook, Guides, and all the Resources today for less than $100! Yes, you read that correctly. 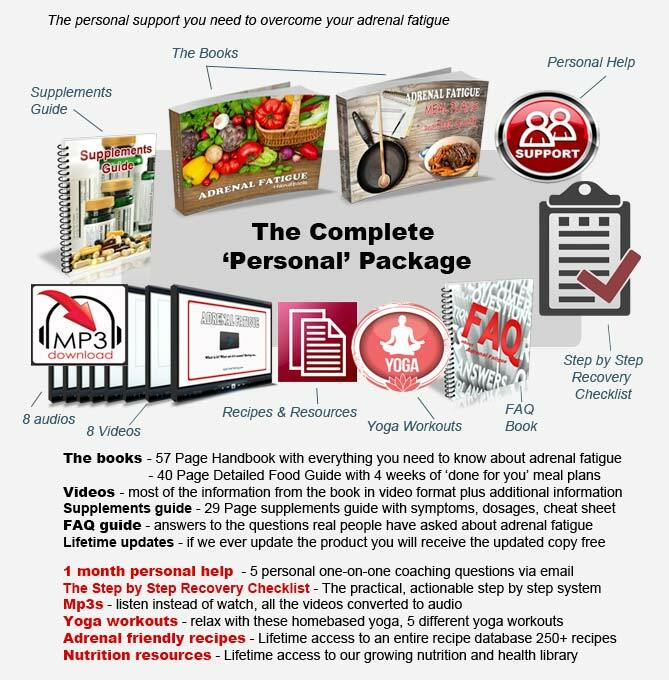 I’m including one-on-one personal coaching if you order the Complete ‘Personal’ Package today. Personal Email Coaching – This includes 5 personal email questions that you can personally send to me and I will answer back via email. 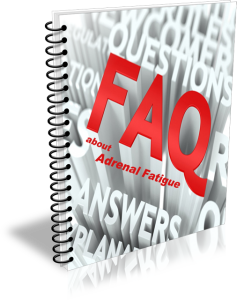 This opportunity to ask me questions about your adrenal fatigue recovery is worth every bit as much as you’ll pay for the complete package alone. This is real, one-on-one personal coaching. You ask me a question and I answer it. Now there aren’t too many nutritionists who are offering this kind of ACCESS & HELP! If you get “stuck” and need help, I’m here to help! 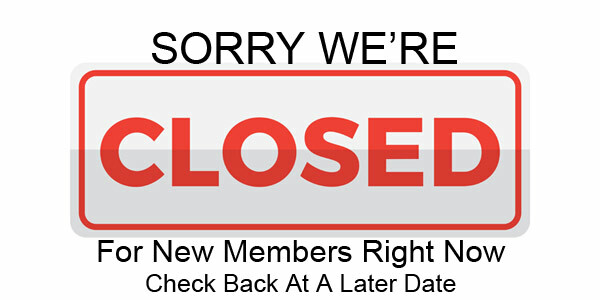 If you come back tomorrow and it’s not here, please don’t ask me to include it. If I start getting too many people asking questions, I’ll have to shut this down. Jam packed with essential information to help you recover! If you are struggling with energy and fatigue, this product is for you! If you feel like you’re going around in circles and not getting anywhere, this product is for you! If you need the right info and some help to do it, this product is for you! Choose the level of support and resources to suit you. BSSc. Dip.RM. Cert IV PT. Cert IV ET. Note: After payment you will be redirected to a registration page where you will gain access to the package you have purchased. Customers who already purchased the Complete Package before the coaching offer was available [15-3-15] will not be able to redeem the offer.